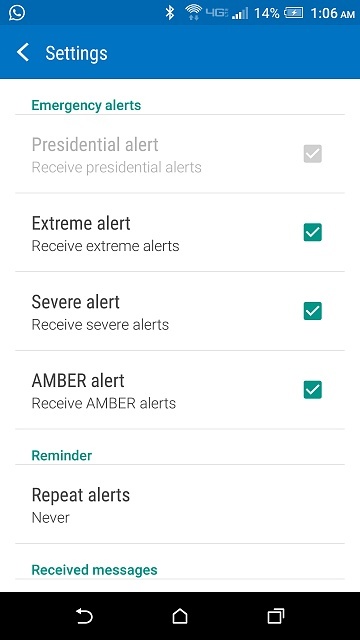 I am unable to turn off Emergency Alerts (Extreme, Severe, or Amber). Either going through the All Apps>Emergency Alerts icon, or through Settings>More>Emergency Alerts, if I untick any of the alerts the next time I open the settings they are all ticked again. I have tried a factory reset already, it didn't solve the problem. Please help! Odd, you've done everything by the book and so have I or just as you've done.. Mine are all off and have been off since purchasing the device several weeks ago. Yes I haven't been able to find this issue in any other forums or sites so wondering what could be causing it. What's a good app to record voice memos? How do you delete the thrash folder in one step. I have a B8000 yoga tablet. Please help. How do i keep my lockscreen wallpaper from changing while i listen to music?